Lately, sugar’s been getting a bad rap. It’s been referred to as “toxic,” “poisonous,” and “addictive.” A quick online search suggests that consuming sugar is more dangerous than smoking, that its properties are more addictive than nicotine, cocaine, even heroin. But is sugar really the villain that many people think it is? What this means is that there is no evidence to suggest that humans can become addicted to sweets. And, in some of the animal studies where sugar addiction was previously identified, it appears that overeating sugar only occurred among animals who were previously denied access to it. What does this mean for humans? Potentially nothing, since these were animal studies. But, most of us have experienced the reality that when we don’t have something, we want it more. 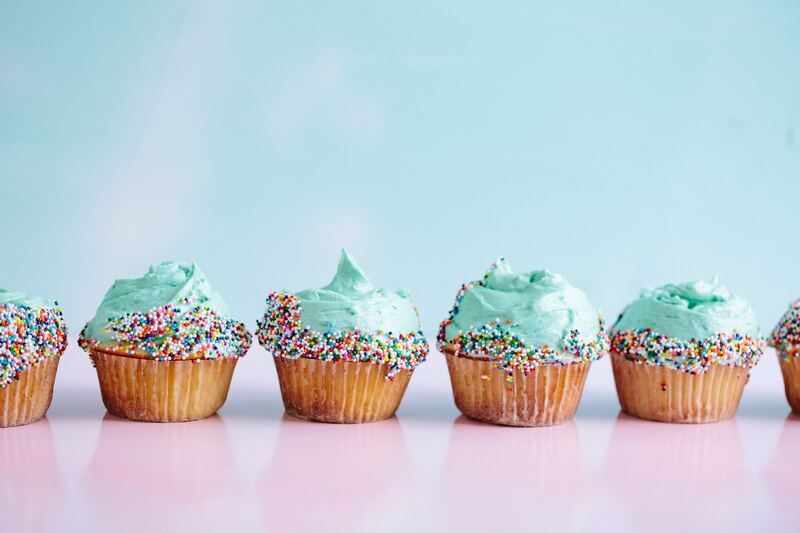 Many individuals who learn to eat intuitively will report that cravings for certain items diminish with acceptance and inclusion of previously off-limits foods. What about the “health” argument? Certainly, sugary foods pack less nutritional punch than, say, apples or broccoli. But those of us who advocate for intuitive eating aren’t suggesting that anyone subsist on a diet of sugar alone. For those who shun sugar (or carbs or gluten or whatever the feared ingredient or nutrient du jour), keep in mind that any restrictions can potentially backfire and that it’s healthier to have a positive relationship with food that to banish certain foods. Having strict rules about what you will and will not eat. Not being able to enjoy a slice of birthday cake at your child’s birthday party. Worrying about what you’re consuming and whether or not it’s “good” for you. Living in fear that a certain food or ingredient could be “killing” you. Not accepting that “all foods fit” into a healthy and sustainable diet. Thinking about food all the time. Avoiding sugar and then feeling out of control when you’re around it (e.g., “I just can’t be around chocolate chip cookies”). Falling into a cycle of sugar avoidance and then overeating with exposure. Before you follow the latest diet trends, do your research (actual research studies, not website or claims by “health experts) and be clear to understand that restricting certain foods often leads to the experience of physical and/or psychological deprivation, an effect which can backfire in the form of overeating. More, a certain percentage of those who restrict their foods will go onto develop eating disorders, serious, and potentially life-threatening, mental illnesses. Cutting out certain foods interferes with creating a healthy relationship with food, one in which we choose foods to nourish and satisfy us, without spending any additional time worrying about what we’re eating.